Every business should have an income goal and physical therapy practices and medical practices are no exception. Nitin Chhoda explains how to establish income goals for your practice and set the stage for a profitable business. Financial planning is a key element for any business owner, but it can be more difficult for physical therapists who deal with fluctuating patient numbers. Those without a solid plan for physical therapy marketing can soon find themselves adrift in an economy where their services are undervalued and their standard of living is at risk. 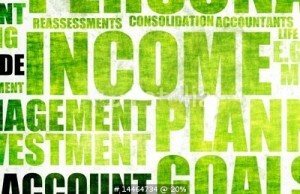 It’s important to realize that in the beginning, the anticipated income that’s set in a financial action plan aren’t nearly as important as actually creating the plan to attain the goal. Developing a strategy to clarify direction and determine income not only helps eliminate unwelcome surprises, it also provides physical therapy marketing practice owners with a double dose of reality. Implementing an electronic medical record system other office systems that automate low-dollar activities provide significant savings and present a good place to start. A six-figure income isn’t beyond the realm of possibility, but it may not be attainable with the current state of the practice. By setting a dollar figure, therapists will have a clear physical therapy marketing plan of what they want to accomplish with their practice, the steps that need to be taken to reach their goals, and help them differentiate between valid opportunities and unproductive distractions. A good place to begin is by gathering financial records for the past three or four years and set aside an entire day to be incommunicado. Clear the calendar, turn off the phone and email, and shut down social media connections. For a physical therapy marketing task of this importance, it’s essential to eliminate outside distractions. Therapists will need to break down each year’s income into specific categories, leaving nothing out. It’s helpful to use a spreadsheet for the exercise that encompasses income from all avenues, including teaching, speaking engagements, consulting services and product sales. Leave a column for notes to record personal insights about the numbers. With the assistance of a spreadsheet, it will soon become apparent to therapists where their most profitable activities and biggest moneymakers for each month are generated. Therapists can track physical therapy marketing trends for various times of the year and use those to plan and organize high-dollar events to coincide with points of low income. It will quickly become clear if the anticipated income goals are achievable and if not, what must be done to boost revenues. Physical therapy marketing and management requires practice owners to be ruthless in pursuit of a profitably operated clinic. Income levels fluctuate and they’re affected by a wide array of variables. Physical therapy marketing campaigns, new referral sources, and the addition of services will all combine to affect the flow of patient traffic. Slow months can be augmented with special promotions and the upcoming year can be planned around a comprehensive plan of action. Physical therapy marketing is a critical element of profitable practices, and the most highly successful therapists have a definite plan of action to achieve their financial goals and those for their clinic. Practice owners want the best possible treatments and outcomes for their patients, but they also need to make a living. Therapists can easily define their efforts for future financial security by closely analyzing every aspect of their business. For those who prefer a more physical therapy marketing in-depth approach, therapists can reverse engineer their current operating system for enhanced income opportunities and patient care.